A very popular variety of white radish that grown in small garden because of thier slender size. 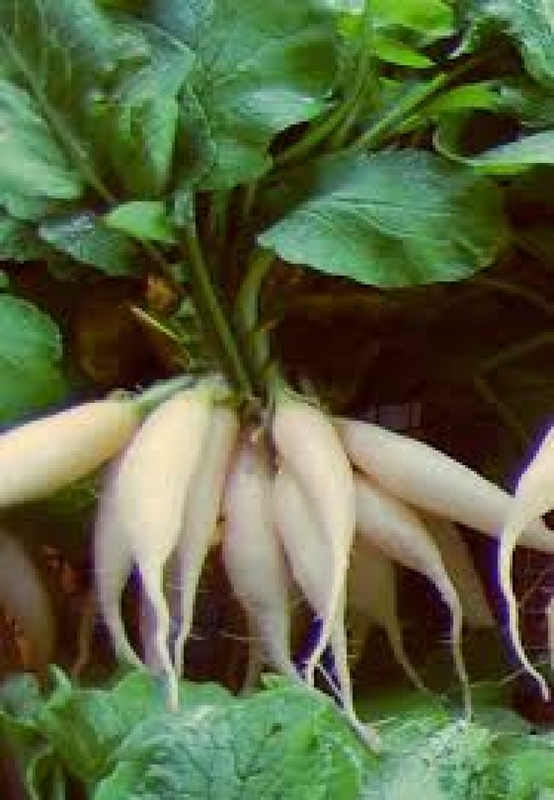 Not only that it also easy to grow and a fast growing radish that mature within 27 days after sprouting. 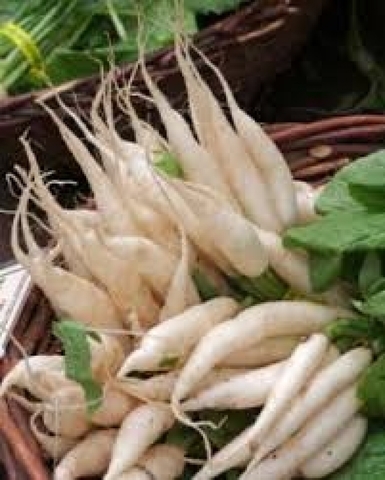 White Icicle radish is a good companion garden radish when growing pumpkins and squash as it is a natural deterrent of squash bugs. 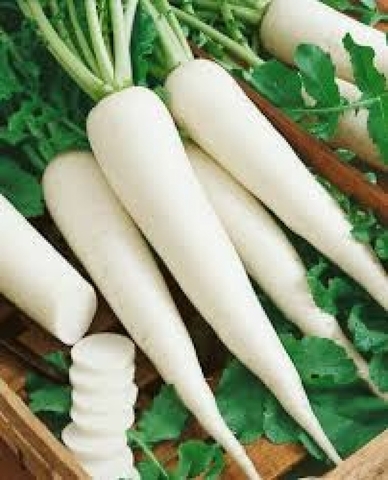 Icicle radishes contain vitamins C and B6, ascorbic acid and calcium. Like many radishes Icicle radishes contain active enzymes that aid in digestion. 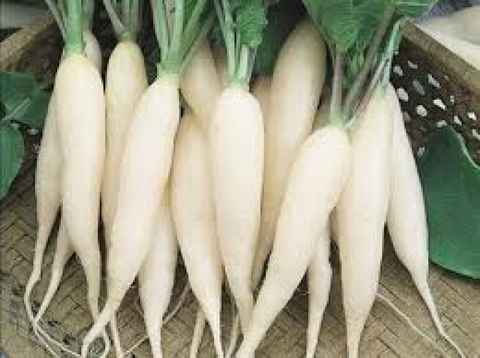 The edible leaves of the Icicle radish are rich in vitamin C, beta carotene, calcium and iron as well. It can be grilled, braised or roasted. Shred or grate and use as a condiment for sushi and sashimi. Use when making kimchee or pickled carrots. The greens of the Icicle radish can go straight into salads, or be added to soups, stir-fries and soup. One of the remarkable healing food, it an aids digestion, a weight loss remedy, cleanses the blood, improved energy circulation and increases the metabolic rate. It contains diuretics, decongestants and the digestive enzymes diastase, amylase and esterase, so don't missed out to grow this veggies too in your garden. Height : 6 - 12"
Spacing : 3" - 5"
Size : 4" - 6"